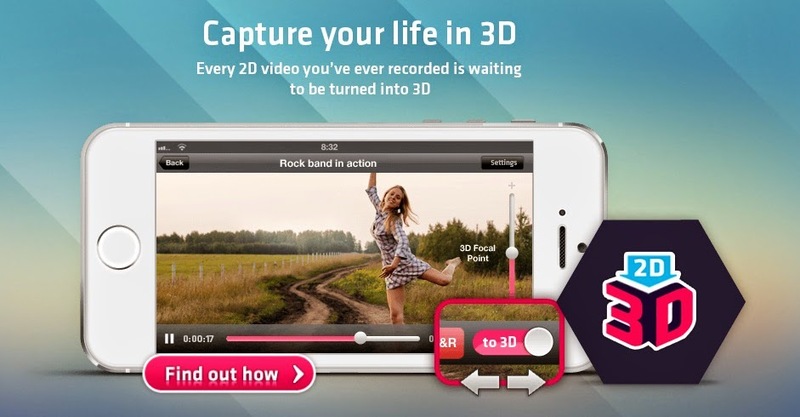 What if I told you that for very little, you can upgrade your iPhone into a 3d device? The new Eyefly 3D does just that. Plus, it's non-invasive and super easy to apply. Each EyeFly 3D kit comes with a cleaning cloth, applicator and special screen protector that automatically turns your phone into a glasses-free 3D device. Applying the special bubble-free screen protector is simple, easy and fuss-free. The total opposite of a regular screen protector that takes ages to apply. I attached mine in less than 5 minutes. All I had to do was clean the surface of my phone with the cleaning cloth, remove the protective backing and stick it with the help of the applicator. EyeFly 3D comes with two free apps. One for photos and the other for videos. Both contain a step by step guide for attaching your EyeFly properly. Once you have your EyeFly screen attached, it's time to have fun. With the EYEFLY photo app, you can create and edit your own 3D images! Use the EyeFly video app to transform your existing videos into 3D or you can also use it to search the net for 3D videos to watch. The EYEFLY screen has a scratch-free, semi matte surface that looks neat and clean. It doesn't affect 2D viewing on your phone and only starts working once you launch the app. It's highly entertaining and very cool to have. I've spent countless afternoons on the couch with my daughter being entertained by 3D videos via my EYEFLY video app. Here's a photo of my iPhone with my EYEFLY screen attached. It looks just like a regular screen protector. Unfortunately, it's quite difficult to capture the 3D effect in photos. You have to see it for yourself. to truly appreciate it. EyeFly 3D is distributed by Digits Trading Corp and is available at Digital Walker and Beyond The Box boutiques.